For a wide, flat mound of gold look no further. 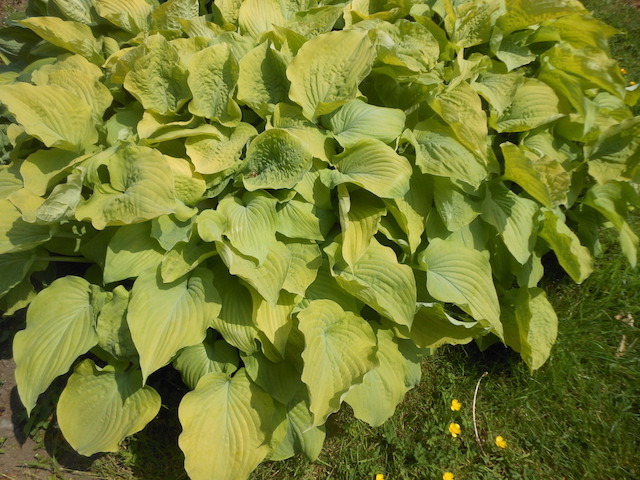 Hosta 'Glory' has slightly wavy heart shaped leaves with good substance. A seedling of Hosta 'August Moon'. Click the button below to add the Glory to your wish list.